How did your tea shop Teavana get started? A husband and wife team felt that the US was ready for a high-quality, upscale tea shop that was part tea bar, part tea emporium. So in 1997 they opened the first Teavana store in Atlanta, Georgia and focused on the best 100 (or so) teas they could find. Teavana is still based out of Atlanta, Georgia, but we now have stores in malls across the US and Mexico. We focus only on high-quality, loose-leaf teas that taste exceptionally good and have specific health benefits. This is why we limit our selection to around 100 of the best teas we can find. Bagged teas are typically much lower quality, so we do not carry bagged tea. 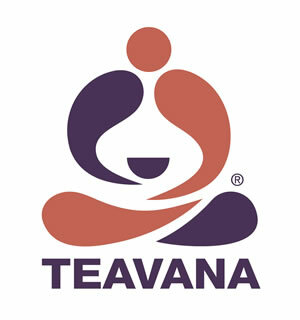 Teavana also offers a full line of teapots and other tea accessories. My personal favorite is "To Life Tea." It's actually a mixture of white tea, green tea, and rooibos (herbal) tea, but it's mostly white so we list it as a White tea. The taste and flavor is excellent, but it also has all the health benefits of white, green, and rooibos teas. Our best-selling products are changing with our selection, but they tend to be the best quality green and white teas that we offer. We also have MateVana, which is a mate tea that is very popular. If you haven't tried loose-leaf tea, take a chance. I think you'll find it is much fresher and has a better taste than any bagged tea available.